Fall 2017, Math 4310, Linear Algebra. We will also be using piazza for discussions. Fall 2017, Math 7670, Intersection Theory. We will also be using piazza for some handouts and discussions. A list of (many of) the courses that I have taught at Cornell. The Stephen and Margery Russell Distinguished Teaching Award, received in April, 2013. Department of Mathematics Senior Faculty Teaching Award, awarded in 2002. My research interests include computational algebraic geometry and commutative algebra. My applied interests include applications to string theory, statistics and biology. Alyson Reeves, Ph.D. 1992, The combinatorial structure of Hilbert schemes. Hal Schenck, Ph.D. 1997, Homological methods in the theory of splines. Leah Gold Stella, Ph.D. 2002, Homological results in commutative algebra. Chris Francisco, Ph.D. 2004, Hilbert functions and graded free resolutions. Jeff Mermin, Ph.D. 2006, Lexicographic ideals. 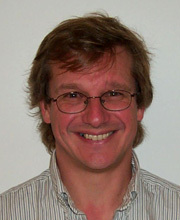 Steve Sinnot, Ph.D. 2006, Results in Computational Algebra of Bayesian Networks. Achilleas Sinefakopoulos, Ph.D. 2007, On some classes of Borel fixed ideals and their cellular resolutions. Mauricio Velasco, Ph.D. 2007, Monomial resolutions and the Cox rings of Del Pezzo surfaces. Gwyn Whieldon, Ph.D. 2011, Betti Numbers of Stanley-Reisner Ideals . Assistant Professor, Hood College. Kristine Jones, Ph.D. 2013, Generic Initial Ideals of Locally Cohen Macaulay Space Curves . Microsoft. Validate the html on this page, or validate the css on this page.